Trash from the ocean reaches shore. Photo by Bo Eide. 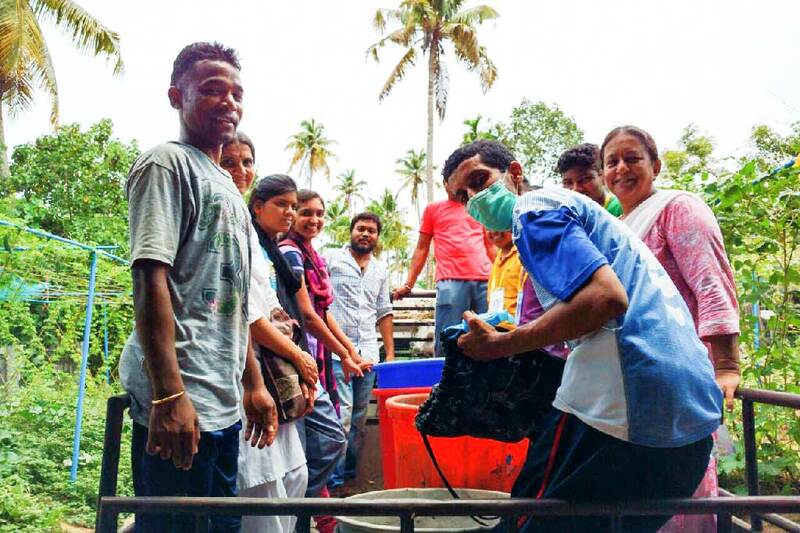 “I like the ponds, and I feel connected to them the most in nature,” answered one young man during Amrita SeRVe’s first Waste Management Course held in Amritapuri, May 2016. 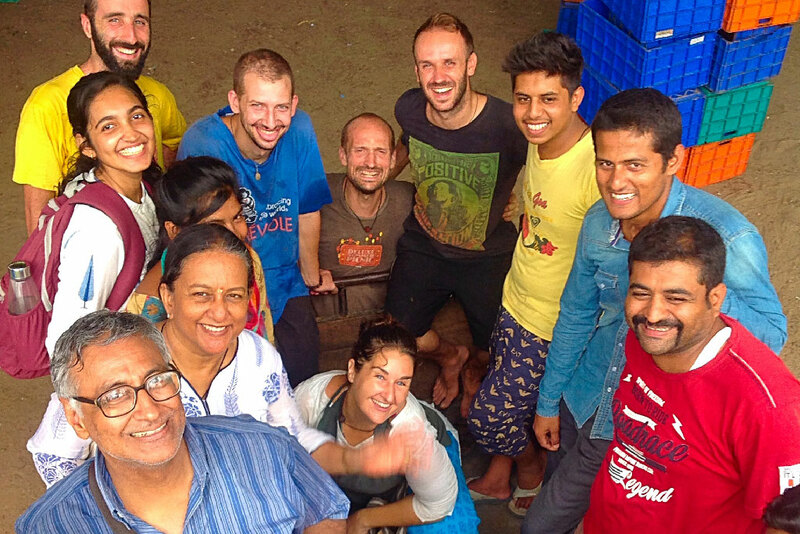 There were seven students who travelled to Amritapuri from our Gujarat and Jharkhand villages. They came because they wanted to learn how to respond to the enormous task of taking care of their villages from the waste management point of view. Mahita explained that the Earth Mother gives to her children through the weather, and she sees her children’s needs by the messages carried in the water. But we have blocked her vision through improper waste management. Photo by Chris Jordan (via U.S. Fish and Wildlife Service Headquarters). The global need for such endeavours can be understood upon first hearing about something called “The Great Pacific Garbage Patch” in the North Pacific Ocean. A gyre is a system of large rotating ocean currents, especially those involved with huge wind movements. The gyre in this location is filled with waste that has been caught in the spiralling water—an estimated six kilos of plastic for every kilo of plankton. The garbage patch itself is estimated to be nearly 800 square kilometres—the same size as the country of Turkey. 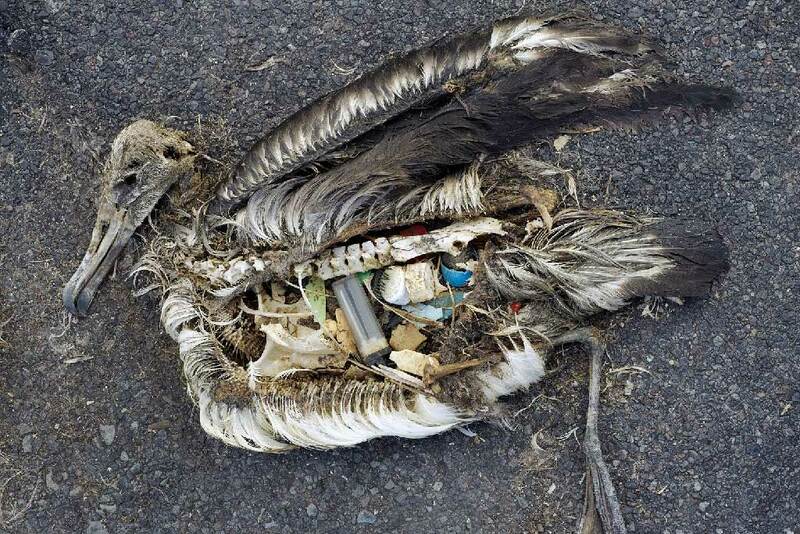 Around the world, according to the United Nations Environment Programme, plastic is killing a million seabirds and 100,000 marine mammals and turtles per year. Sometimes, the animals are caught in discarded, plastic fishing lines and nets. Other times, they choke or have digestive tracts clogged by bottle caps, pocket combs, cigarette lighters, cotton bud shafts, toothbrushes, toys, syringes, plastic shopping bags and many other such things. Fully aware of the pressing need to educate about how to manage our waste, Mahita modelled the content of the course via hands-on work in the morning. Then in the afternoon came explanations of the significance of the actions done. 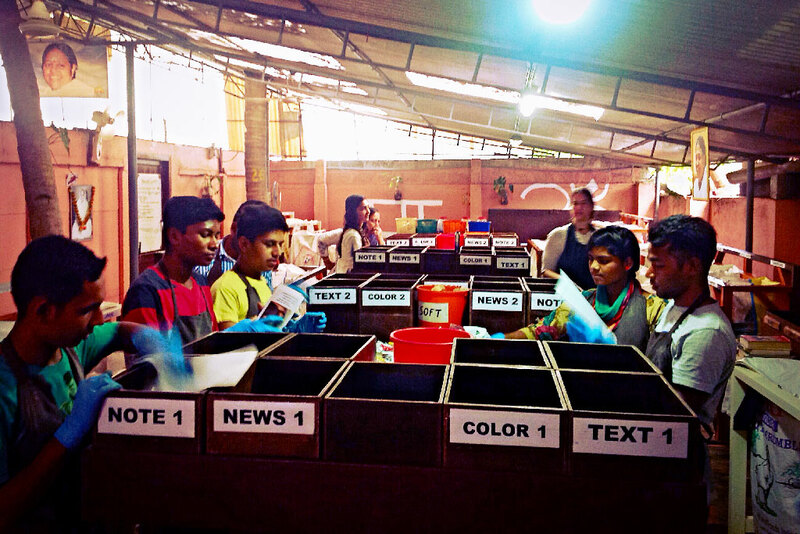 Actual practical work included recycling, segregating waste, composting, and maintaining cleanliness of private and public areas. The scale of work went from management at the household level to that of the entire village. Also, an income generation aspect was taught in terms of how waste can be reused and actually be a source of earnings. The students certainly were inspired and they want to do something about it. Raju said, “I did not know what was waste management before, so I came to see what it is.” He explained he learned a lot and will begin waste management practices as soon as he gets home. 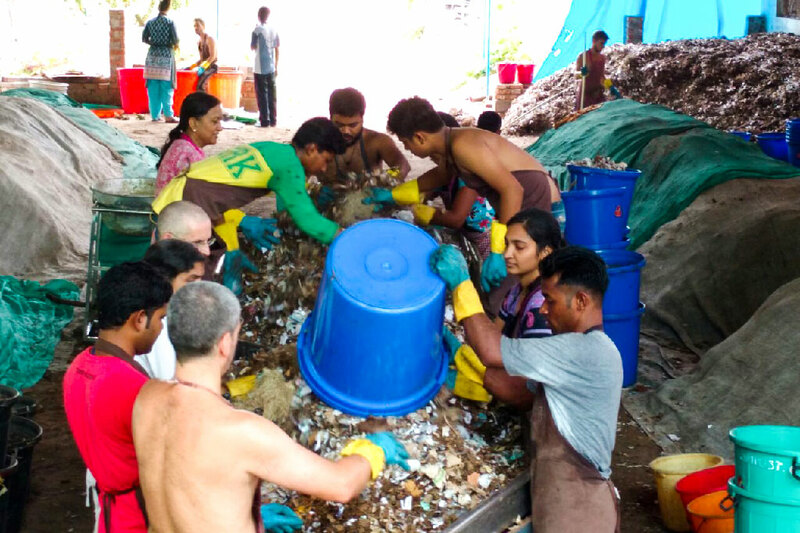 Courses like this one in waste management for India’s villages could be a beginning to collectively find a solution from the grass roots level, and then this message can spread to larger communities. Mahita, head instructor of the Waste Management Course, is in the middle.